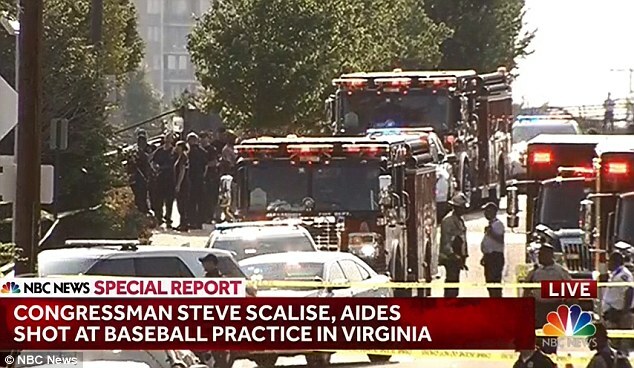 A US Republican politician and aides have been shot during baseball practice in Virginia, US reports say. Police in the upmarket Washington DC suburb of Alexandria said they were investigating a "multiple shooting" and a suspect was in custody. 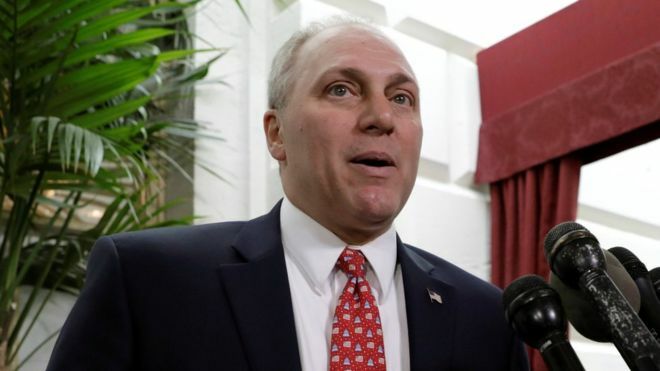 US media said House of Representatives Majority Whip Steve Scalise and aides had been hit by gunfire. Police tweeted they were "investigating multiple shooting 400 block E Monroe St. Suspect believed in custody." An apparent eyewitness said on Twitter that gunfire rang out at the YMCA baseball fields, by the Eugene Simpson Stadium Park. The witness, @ben_childers, said it happened at a congressional baseball team practice session. Local media report there is a major police presence after the attack. Senator Mike Lee, a Utah Republican, texted Fox News to say that Mr Scalise had been shot in the hip and would survive. He said someone had used a belt as a tourniquet on him. Mr Lee said the shooter had used a long gun and was dead. White House press secretary Sean Spicer tweeted that President Donald Trump was being briefed. "Both @POTUS & @VP are aware of the developing situation in Virginia. Our thoughts and prayers are with all affected," Mr Spicer tweeted. 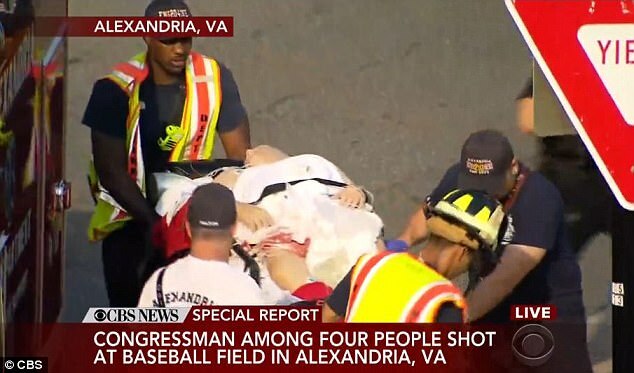 Representative Mo Brooks, an Alabama Republican, told CNN he was on third base during the baseball game when he saw Mr Scalise, who was on second base, shot. He said everyone on the field scattered as 50 to 100 shots were fired. Mr Brooks said a gunfight ensued between the shooter and the congressmen's police security detail.